Mesh chains are unusual and not readily available on the high street. 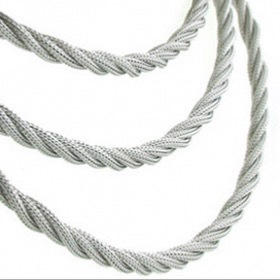 These 3 beautiful mesh chains are unique to boothandbooth and make great silver chain necklaces. 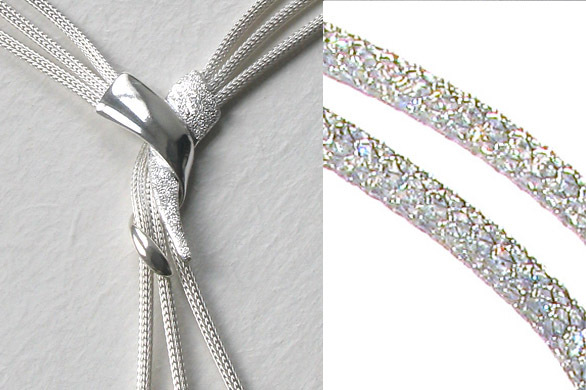 Our crystal mesh chain is sterling silver with crystals woven into the mesh. It sparkles magnificently. 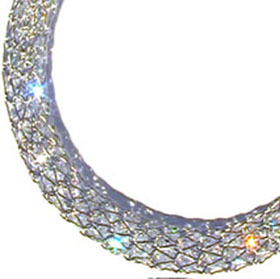 Steal the limelight in a silver crystal mesh necklace! 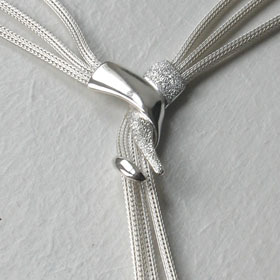 If you like the look of the silver mesh chain, take a look at our popcorn chains and ball chains.